This summer I met a wonderful mum who opted not to send her child to Maple Grove in Kindergarten because of morning recess. I respect this mum and trust that she knows what’s best for her child; it all worked out when her daughter was accepted into Tyee in Grade 2. I respect the pure view that recess, well, interrupts the uninterrupted work cycle. But this is one more occasion where I truly appreciate the dual stream approach as a benefit. Because kids need more recess. We are continually learning about the importance of free play for children. The Canadian Paediatric Association urges its members to advocate for “…the protection of childrens’ recess time and extracurricular PA programs and non-structured PA before, during and after school hours”. The American Pediatric association has a specific position paper specifically about the critical role of recess for children. There are, I’m sure, negatives to interrupting the uninterrupted work cycle but let’s not forget that there may be positives too. This entry was posted in Concepts on November 6, 2016 by kxmorrison. This entry was posted in Concepts on April 11, 2016 by kxmorrison. This entry was posted in Books, Concepts on February 15, 2016 by kxmorrison. We have had two PAC meetings where the amazing Lori Prodan has presented the growth mindset to us. Last year, I posted about the growth mindset and it’s application in a Montessori system. The concept is gaining traction in our homes and schools. But my sense from the comments at the meetings, from discussions with parents, and my own attempts to model and encourage a growth mindset at home — I just don’t think we always know what we’re doing. This entry was posted in Concepts on January 25, 2016 by kxmorrison. I’m sure most of us are upset about the events in Paris and Beirut. With Remembrance Day last week and with the refugee crises around the world, I have lately been thinking, more than usual, about Peace in our time. Friday in the library we welcomed a group of parents who are considering Montessori at Maple Grove for their children. Mrs Greyhurst spoke powerfully and eloquently about Dr. Montessori’s methods. But the thing that struck me then and has stayed with me over the weekend is her statement that “Montessori is about Peace”. It’s something that I don’t often think about because I am absorbed in the minutia of life (both school and beyond). 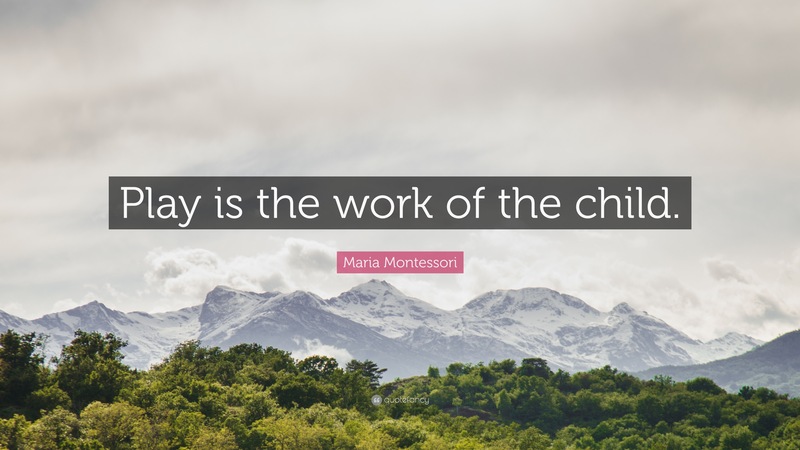 Dr Montessori established her first school in 1907 and then lived through the Spanish civil war and two world wars. 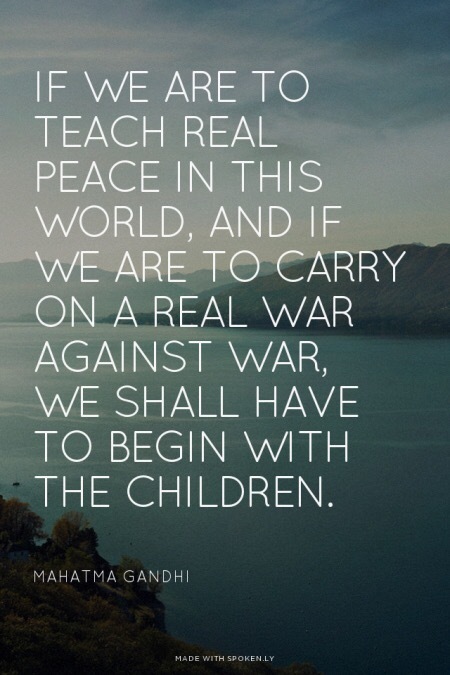 She believed that establishing and emphasizing our interconnectedness to children would lead to adults to whom war was abhorrent. She was nominated for the Nobel Peace Prize six times. Perhaps I am naive or hopelessly optimistic but in these times I have to believe that our children being educated in this way can make a difference. That peace one day will be contagious. More and even more and a 1000 times more. **Gandhi and Dr. Montessori met in 1931 and corresponded thereafter. He was invited by her to speak at her training college in London in October 1931. This entry was posted in Concepts on November 16, 2015 by kxmorrison.